The Branding Edit is a boutique visual storytelling studio that specializes in helping passionate entrepreneurs refine their brand, expand their presence online & off, and connect on a deeper level with their audience. STAT: By 2018, 84% percent of content will be consumed visually. If there is one thing The Branding Edit (TBE) knows for sure, it's that creative entrepreneurs wear A LOT of hats. And, when it comes to content creation, they often fall into "overwhelm" because they have so much to say, but they don't know what to say, or how to capture it. So, TBE girls created an intimate retreat to give those identifying as — entrepreneurs, service-based business owners, business or life coaches, health or wellness coaches, creatives, shop or restaurant or gallery owners, photographers, musicians, bloggers, YouTubers, graphic designers, event planners, freelancers, artists, authors, product-based business owners, makers, and those making a living cultivating content for an organization — the opportunity to strictly focus on their Instagram brand direction, define content categories, gain knowledge to attract the right followers, and walk away with loads of photos ready for posting, and the confidence to shoot Insta-worthy photos anytime, anywhere. 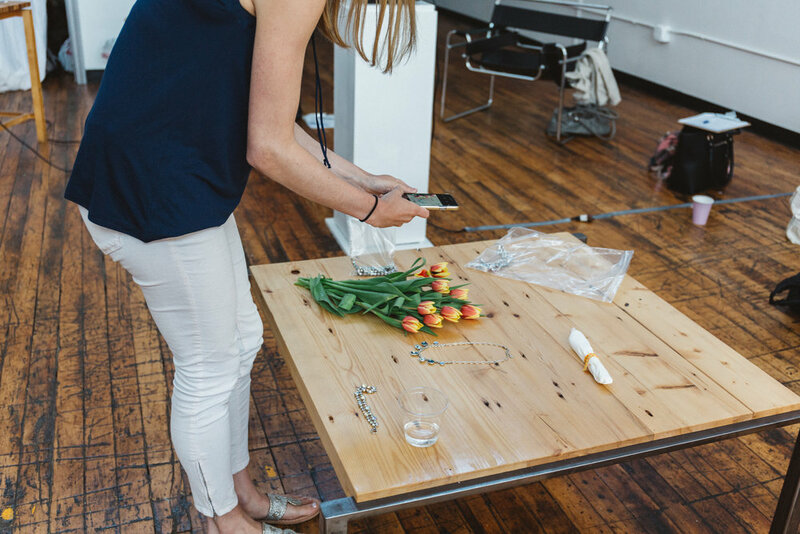 To create an intimate, beautiful, well-lit atmosphere for creative business owners to gather, receive hands-on support, learn from us & each other how to leverage Instagram to grow their brand, business and following. Creating a welcoming environment with beautiful food fit for photography was important. The objective was to provide immense value inside the container of the retreat, but also to build credibility for our young, rapidly growing business. Our focus was to deliver an extraordinary experience to uplift and support those in the room, and begin cultivating a valuable tribe of super-fans. 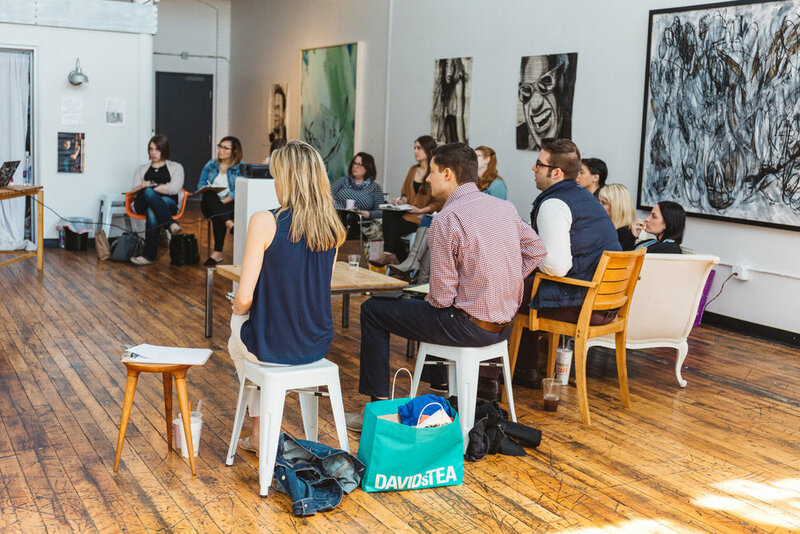 Experience: To create an in-person retreat that leaves attendees feeling more connected to us, to each other — and themselves (this is always the goal) — and recommending TBE as a go-to resource for visual storytelling, content strategy and creation. Every attendee would walk away with confidence in knowing how to leverage the platform for their individual goals, and a library of images to get them started. We chose a beautiful art gallery with floor to ceiling windows, which provided gorgeous natural light. The featured artwork was fitting for our brand vibe, and as hosts, we wore colors that were representative of our brand, as well — sophisticated, with a nod to our flowery, bold and sassy personalities. The beauty of hosting it here was that not much effort was required in transforming the space. Our creative collaborator Phia's created a beautiful spread for breakfast and lunch fit for photographing. The first half of the retreat was focused on content delivery. After introducing ourselves, we invited each attendee to introduce themselves and what they hoped to gain out of the experience, so that we could ensure everyone left feeling really satisfied with their decision to attend. We used examples from attendees feeds to illustrate our examples and also provided each of them with an Insta-Audit offering suggestions for what to focus on to make their feed even more effective. The teaching segment was intentionally designed to be very interactive. Attendees learned from each others questions, and were offering suggestions based on their own experiences. The energy in the room was electric! After the content was delivered, we enjoyed a beautiful leisurely lunch together, at which point, everyone was encouraged to start putting into practice what they learned. 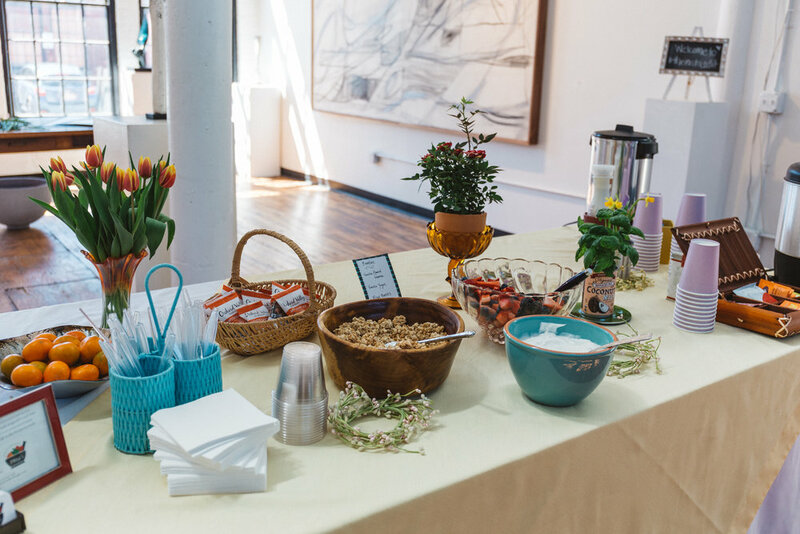 After lunch the hands-on experienced continued as attendees captured flat lay content using a full table of props TBE provided, along with individual products they were encouraged to bring that were specific to their own brand. It was awesome to see everyone working together to create compelling photography using their iPhones, and as hosts, there was ample time for us to spend 1:1 time with each person sharing content ideas and strategies. During those individual conversations, we shared how we could work together in the future, if that question arose. One of the best decisions I made for my business was investing in myself, with a team of women who were invested in my success. Brittanny & Patsy are those women, and The Insta Edit helped me find focus for my photography business. Sitting down with them during the workshop felt like reuniting with old friends. Old friends who had tons of amazing and completely applicable knowledge to help my brand. They helped me define my target client, and the best ways to talk to her through my social media channels. They helped me refine some of my own future goals & helped with ideas to execute on them. The only thing slightly more amazing than Brittanny & Patsy, were the results. Following the workshop - within 6 Instagram posts, a photographer reached out to hire me to work with her. Six posts curated in ways they suggested, that’s all it took for me to see results. I had already made back my return on investment. Within a month of the workshop a bride I was working with told me she couldn’t wait for me to do her future family photography. Meaningful because this had been a goal of mine from the workshop, turning specialty clients into longterm returning relationships, following people on their life journey.